Today we’re sprucing up our workspace and want to keep things a little cozier. 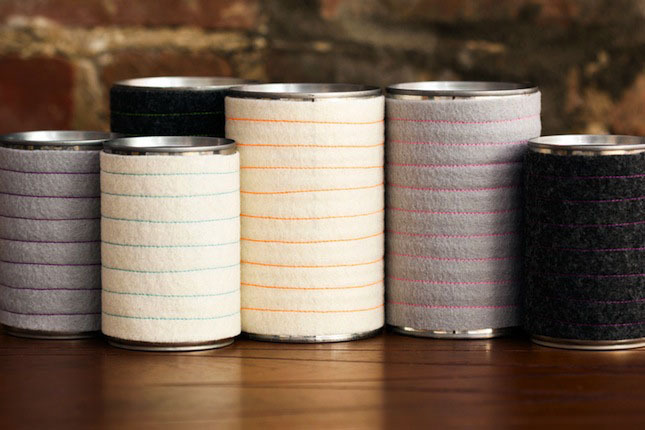 We’ve been seeing wool accessories all over the place, and they have a uniquely chic look that we definitely dig. 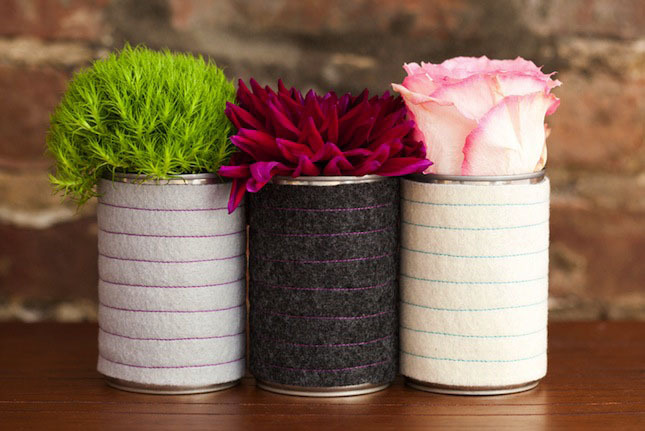 Armed with soup cans, felt, VELCRO® Brand Products and neon thread, it’s easy to create this bunch of striped pencil pots and planters. 1. We used charcoal, beige, and gray pieces of felt to create a sort of earthy look with pops of neon by way of sewn on stripes. The nice thing about these is that you can always take the felt off if you need to rinse the cans out after using them for flowers or potted plants. 2. 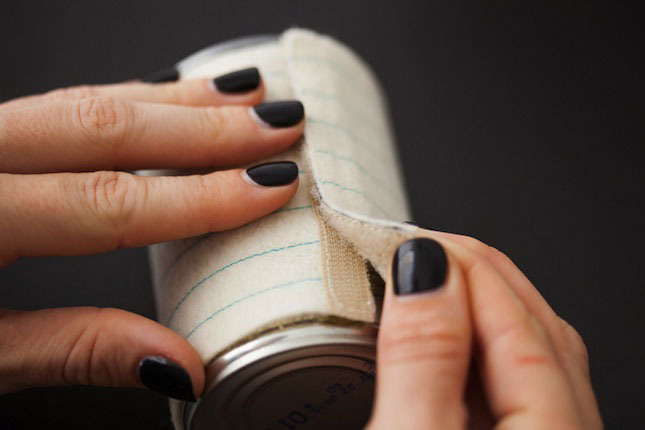 When you take the labels off your cans, try to preserve the shape. They make perfect stencils! 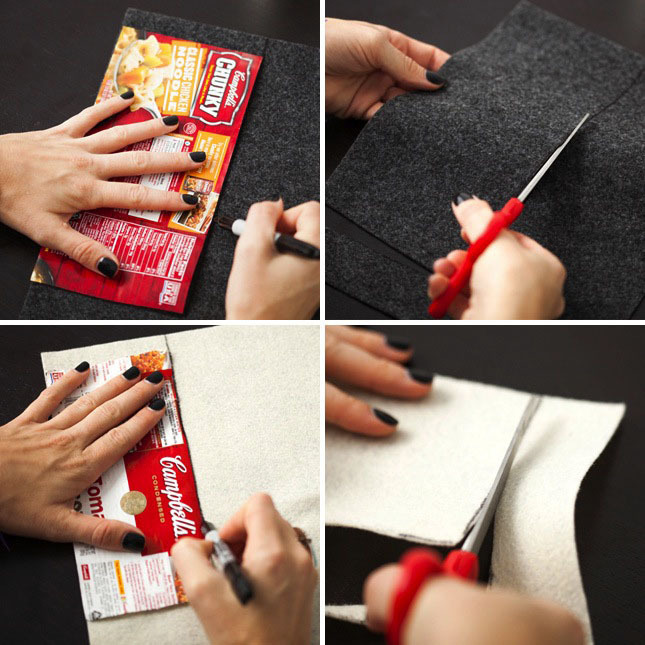 Trace the label shapes onto your felt and cut out. 3. Since we used three big cans and three small ones, we ended up with these six pieces of felt. 4. 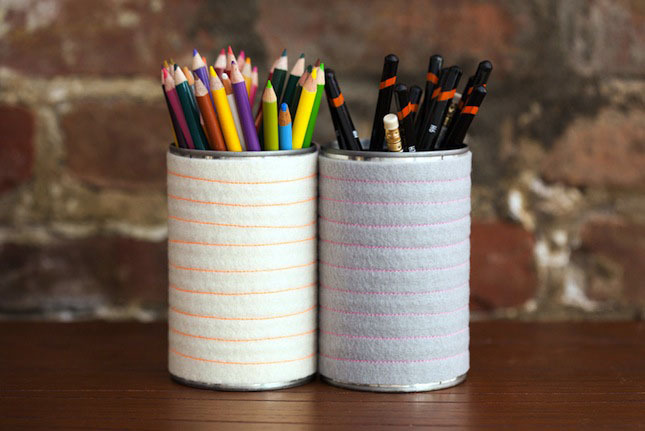 Now, use a sewing machine to add neon stripes. 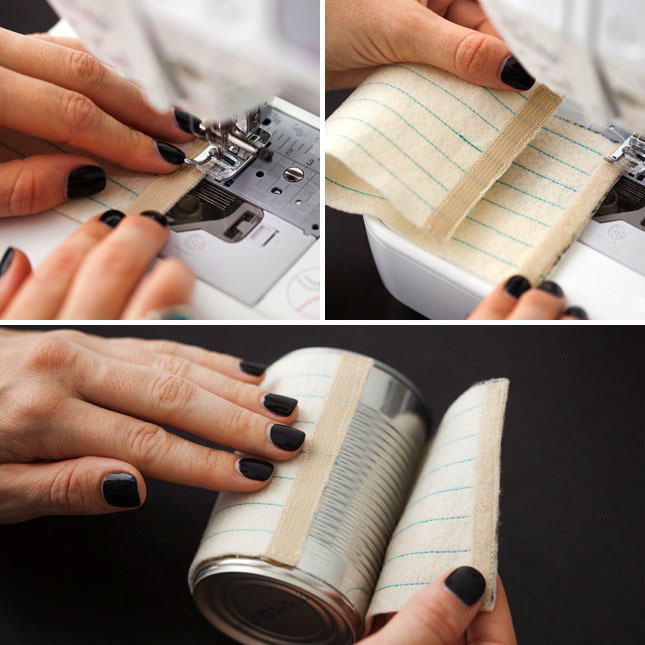 A basic stitch will do the trick! 5. 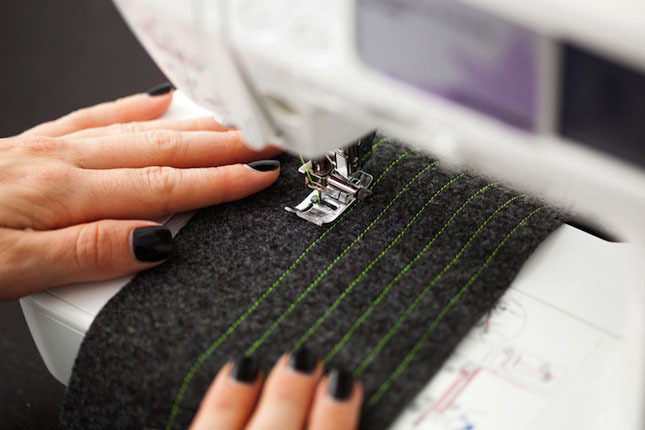 It’s time to attach your VELCRO® Brand For Fabrics. 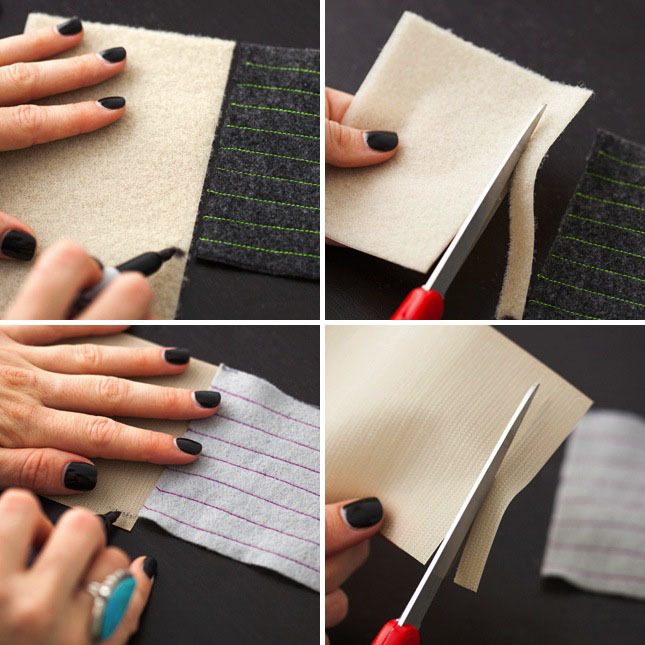 Cut out pieces that fit on the two ends of your felt, kind of like making a koozie. 6. 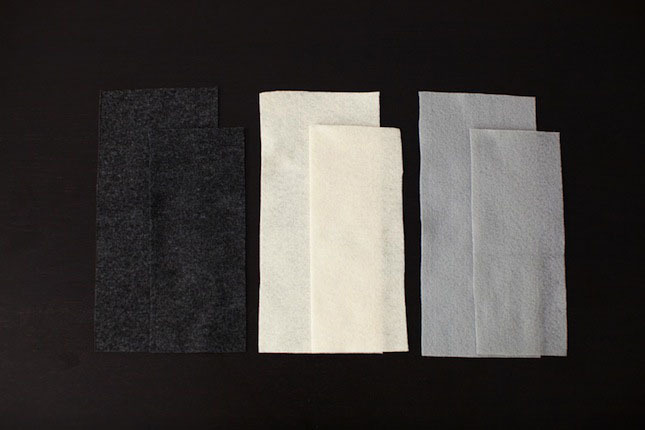 Place the VELCRO® Brand For Fabrics Product onto your felt. Then fasten around each can. 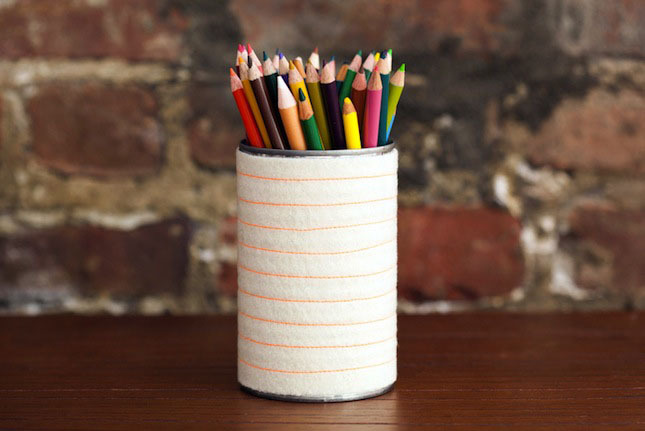 Fill with flowers to add a little more life to your desk or dresser. Or use them for pencils.